To view this file, you will need the Adobe Acrobat Reader. The safety units will implement the SSP in close collaboration with all FHWA Headquarters and field offices. America's roadways are safer than they have ever been thanks to the commitment and actions of the traffic safety community. As Figure 1 shows, the traffic fatality rate (fatalities per 100 million vehicle miles traveled (VMT)) in 2010 was 1.10 – the lowest traffic fatality rate since 1949. It also shows a 23 percent decrease in fatalities between 2006 and 2010 (from 42,708 to 32,885 respectively).2 However, with 32,885 deaths and 2.24 million injuries on the Nation's roadways in a single year (Figure 2), more must be done to achieve safe roads for a safer future. Many modal administrations within the United States Department of Transportation (USDOT) collaborate to address multiple dimensions of roadway safety and to reach the departmental Agency Priority Goal (APG)3 for safety, which is to improve public health and safety by reducing transportation-related fatalities and injuries. FHWA concentrates on ensuring the safety of the highway infrastructure upon which vehicles and users operate. FHWA is pursuing many opportunities to further drive down fatalities and serious injuries on the Nation's roadways. 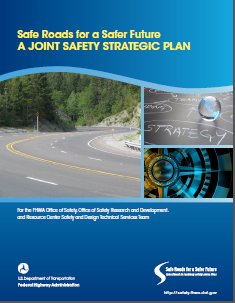 To capitalize upon these opportunities, the FHWA Office of Safety, Office of Safety Research and Development, and the Resource Center Safety and Design Technical Services Team collaborated to develop this joint Safety Strategic Plan. The strategic planning process brings together these safety units to focus on a common vision and ensures each unit makes decisions that put all the units on a path toward the same goals. The roles of the three FHWA safety units that collaborated on the plan are described in Table 1. These units, along with safety specialists in the FHWA Federal-aid and Federal Lands Highway Division Offices and staff in other FHWA offices, comprise what is known as the "Safety Discipline" within the FHWA. The Safety Discipline contributes to the FHWA's safety goals and objectives by working with stakeholders and partners at the Federal, State, and local levels. In addition, members of other disciplines throughout the FHWA collectively and comprehensively advance safety by integrating safety into their programs and projects. Each of these three units will develop annual Unit Performance Plans consisting of strategies and actions they will take to achieve the goals in the SSP. This strategic plan, and its strategies and actions, drive the input the three units have to FHWA's Strategic Implementation Plan (SIP). Through the SIP, major elements of this plan will be executed in close collaboration with FHWA Headquarters and field offices. The three safety units encourage their partners to use the SSP as potential input to advance their respective safety goals. The SSP supports the USDOT Strategic Plan, the USDOT Roadway Safety Plan, and the FHWA Strategic Plan. In addition, the SSP responds to the USDOT Safety Policy, which underlies all of the above plans. The SSP describes the three safety units' approach to implementing strategic guidance from these Department (USDOT) and Agency (FHWA) processes to achieve the APG for safety. The related plans informed the development of the SSP vision, mission, and strategic goals. In turn, this plan provides input to the various USDOT and FHWA plans and safety roadmaps.6 As indicated in Figure 3, these processes have a strong connection to one another. The SSP supports the USDOT Strategic Plan, the USDOT Roadway Safety Plan, and the FHWA Strategic Plan. The USDOT consistently emphasizes safety in a strategic and collaborative manner across all modes through policies and plans. 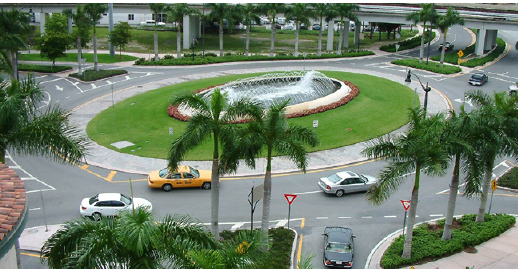 The USDOT Strategic Plan7 specifies public health and safety as one of the Department's strategic goals, with the safety performance measure as one of the Department's APGs. The APG for safety is to improve public health and safety by reducing transportation-related fatalities and injuries. For example, the key indicator for the APG is to reduce the highway fatality rate to 1.05 per 100 million VMT by 2012 and 1.03 per 100 million VMT by 2013. Three agencies within the USDOT are owners of this goal: FHWA, the National Highway Traffic Safety Administration (NHTSA), and the Federal Motor Carrier Safety Administration (FMCSA). They work together to set performance measure targets for each year. Accountability and managing for results. Conduct public outreach campaigns to change attitudes about roadway safety. Besides supporting these plans, the SSP responds to the USDOT Safety Policy,8 which influences many USDOT plans and efforts. The Safety Policy identifies safety as the USDOT's highest priority. It calls for all USDOT employees to "strive to ensure the safety of every user of our transportation systems, as well as all who are affected by those systems." The Safety Policy begins to establish a culture within the USDOT for every employee to emphasize safety and for "the values, actions, and behaviors of our employees [to] reflect this priority." National Leadership: FHWA leads in developing and advocating solutions to national transportation needs. Program Delivery: Federal highway programs are effectively and consistently delivered through successful partnerships, value-added stewardship, and risk-based oversight. System Performance: The Nation's highway system provides safe, reliable, effective, and sustainable mobility for all users. Corporate Capacity: Organizational resources are optimally deployed to meet today's and tomorrow's mission. The FHWA Strategic Plan highlights the agency's role as a leader in national policy discussions, commitment to developing and delivering Federal highway programs through successful partnerships, and renewed focus on a skilled workforce and supporting systems. The SSP supports all four of FHWA's strategic goals. Safety is specifically emphasized in the System Performance goal, Objective 2.1., which calls for the implementation of "comprehensive, integrated, and data-driven safety programs and countermeasures at the Federal, State, and local level." The safety units use the information provided in the SSP to develop their respective annual Unit Performance Plans. The FHWA Division Offices can use the SSP as a strategic guide to the safety activities in their Unit Performance Plans. The Division Offices help deploy the SSP through their collaborative efforts with the three safety units and with FHWA's external partners and stakeholders. The SIP will use information from the SSP for the development of the SIP's safety-related goals and objectives. The SSP also can provide FHWA's external partners with an understanding of where FHWA will focus safety resources as they make their own resource allocation decisions. 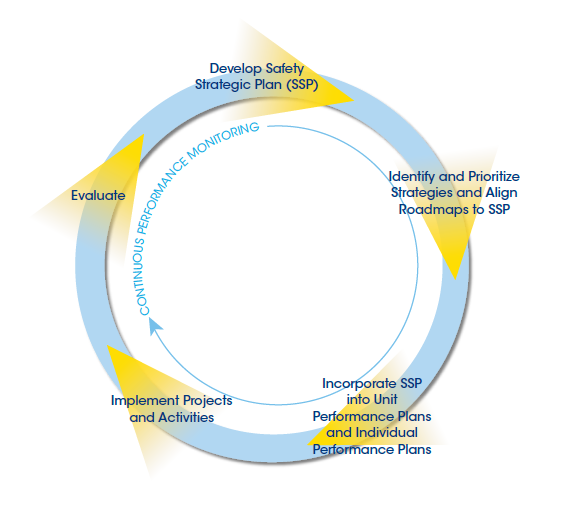 The SSP process also includes continuous performance monitoring and evaluation through which the safety units will review past accomplishments against the established goals, consider how well strategies are implemented, assess progress toward goals, identify risks, consider changes in the environment, and discuss future strategic direction. As a part of the evaluation process, the three safety units will recognize achievements and discuss the need for adjustments. Figure 4 shows the strategic planning cycle. The safety units will update the SSP every 3 to 5 years using input from a variety of sources, including evaluations, safety trends, and legislative changes. This section presents the SSP's elements: Vision, Mission, and Goals. The goals are grouped by perspective and accompanied by brief descriptions and high-level strategies. The perspectives move from bottom to top and provide balance when identifying strategic goals because there is a "logical order"—a series of causal connections—that links them. The goals identified in each perspective support the SSP's mission and vision. The sequence starts with two internal perspectives: Employee Learning and Growth and Business Practices/Internal Processes. These internal perspectives ensure that the safety units have capable staff and sound business practices to enable effective Program and Service Delivery. In turn, effective and efficient Program and Service Delivery is critical for the safety units to equip their external Customers, Stakeholders, and Partners with the tools they need to deliver their safety programs and services. Toward zero deaths and serious injuries on the Nation's roadways. Promoting an integrated, multidisciplinary (4E's) approach to safety. The SSP's four goal areas are described in detail on the following pages. Please note that each of the sub-goals listed has equal weight and bearing, and, although numbered for ease of reference, the list does not represent a prioritized order. 1.1 Improve the quality of the work environment. The safety units will provide an atmosphere of respect, trust, and camaraderie that values individuals, promotes productive teams, and encourages innovation within and across the units. Safety staff will be supportive of each other, focused, and dedicated to the mission. Staff will create a positive work environment for all employees to be energized and empowered safety stewards. Everyone will clearly understand his or her role and the expectations for individuals, teams, and units. Staff will also have access to the tools they need to achieve those expectations. The safety units will become some of the best places to work in FHWA. 1.2 Improve career and leadership development opportunities. The safety units strive to support employees' attainment of professional and personal objectives and aspirations. All staff will have access to career enhancement and leadership development tools in addition to those that help improve project and managerial skills. These are integral to maximizing employees' potential and to the success of the safety units. This goal involves active participation at all levels to ensure workforce planning for current and future staff and managers. Current staff will be encouraged to advance throughout the safety units, FHWA, and the transportation community, continuing to work towards the safety vision. In addition, the safety units will identify current and future gaps in staff skill sets and develop means to address those gaps. 1.3 Enhance safety knowledge of FHWA professionals. Within the Safety Discipline, there is a strong network of FHWA safety professionals. Like other professional networks and communities of practice, the vibrant Safety Discipline presents opportunities for members to share their knowledge and offer technical assistance. The Safety Discipline Support System (SDSS) is a knowledge management framework that is designed to provide complete support to its members in the areas of learning, technical expertise, networking, and career development. The SDSS facilitates the exchange of knowledge within the Safety Discipline. The safety units will optimize the use of the Safety Discipline network and the SDSS to continuously share knowledge that improves the management and delivery of the safety program. Beyond the Safety Discipline, other disciplines also benefit from safety knowledge. The safety units will reach out to these disciplines to enhance their highway safety awareness and the skills that they can apply to improve the delivery of the Federal-aid program. 2.1 Employ a strategic planning process to guide the safety units and align resource allocation decisions. Leading the safety units into the future requires planning and forward thinking. Like other public health issues, highway safety deserves a proactive and comprehensive approach. To determine the safety units' direction and shape the future of highway safety, it is necessary to understand each unit's current position and how to connect it to the vision. 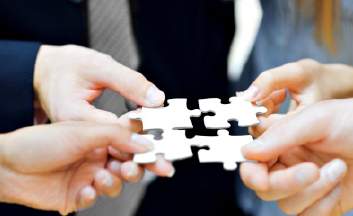 A strategic planning process provides that connection. This iterative process results in the SSP and involves implementation and continuing evaluation. The safety units will use the strategic planning process to develop consensus, prioritize strategies, and guide action plans to achieve the mission and realize the vision for the future. Comprehensive and thoughtful review of SSP activities and vision is an important element of ensuring that the three safety units continue to make progress on achieving the SSP mission. The safety units will ensure the strategic planning process is predicated on continuous monitoring of their activities and programs; feedback from stakeholders, partners, customers, and staff; and program and process evaluation. 2.2 Foster a safety culture throughout FHWA. The USDOT Safety Policy calls for agencies and employees to "be a change agent by exemplifying and promoting a safety culture in which the values, actions, and behaviors of our employees reflect [a safety] priority." The safety units will lead FHWA's commitment to emphasize safety and take every practical action to prevent fatalities and serious injuries on the Nation's roadways. Through open communications and outreach, education, and strong partnerships, the safety units will encourage all FHWA staff to embrace safety as a core value and to demonstrate consistently that safety is prioritized above other considerations. The vitality of the safety culture within FHWA will be evident in how systematically and explicitly safety is addressed in all aspects of roadway investment and decisionmaking. 2.3 Utilize effective partnerships within the USDOT for the improvement of highway safety. Significant reductions in fatalities and serious injuries require the combined efforts and sustained attention of a broad range of professionals encompassing all 4E's. Collaboration among USDOT modes on coordinated efforts to support the USDOT's APG for safety and other safety endeavors is essential, with FHWA concentrating on its areas of expertise. Furthermore, safety considerations must be emphasized in all aspects of the decisionmaking process—from planning and programming through design, construction, and operations. The safety units work closely with other units within FHWA to promote this message throughout the organization so that interactions and decisionmaking within and among FHWA partners and stakeholders emphasize safety. The three safety units will strengthen partnerships within the Department using existing formal and informal mechanisms such as the USDOT Safety Council and technical committees, the Traffic Records Coordinating Committee, senior leadership coordination meetings, and cross-modal technical working groups. The safety units will also look for opportunities to develop relationships with nontraditional partners in both FHWA and USDOT. Effective partnerships throughout the Department will also support a stronger safety culture in FHWA. 2.4 Enhance the effectiveness and efficiency of business processes. The safety units will make improvements on administrative and operational procedures that enable the efficient delivery of the overall mission. Business processes include not only the steps to carry out the procedures, but also the documents, templates, resources, and appropriate staff involvement to support them. The safety units will also make improvements on how business is conducted, including streamlining steps on processes, automation, and improved technology. 3.1 Improve safety data and expand capabilities for analysis and evaluation. The effectiveness of safety programs is directly linked to the availability of sound data analysis for informed decisions. Increasingly, States and other safety partners are in need of reliable data, including crash and roadway data. For that and many other reasons, improving safety data is important for Federal, State, local, and other partners, who must overcome challenges such as lack of resources and inconsistent data systems across agencies. Evaluation will determine the effectiveness and efficiency of traffic safety countermeasures. The successful adoption of this process should provide a strong basis for establishing safety policies and decisionmaking for safety investments and provide a basis for the justification of highway safety projects. The safety units will work with and provide assistance to partners and stakeholders to improve data quality, analysis, and evaluation capabilities to support data-driven safety improvements and decisionmaking. Furthermore, the use of accurate data is critical to the Highway Safety Improvement Program (HSIP)11 process. 3.2 Enhance strategic highway safety planning. Strategic highway safety planning involves data-driven, comprehensive, and coordinated efforts that provide a framework for reducing highway fatalities and serious injuries on the Nation's roadways. FHWA supports cooperative strategic highway safety planning that uses the 4E approach to address engineering, education, enforcement, and emergency medical services issues. This goal will help the HSIP process by supporting the Strategic Highway Safety Plan (SHSP) as the principle vehicle for safety coordination, planning, integration, and implementation for each State. However, strategic highway safety planning goes beyond the HSIP and SHSP. Safety should be strategically integrated into plans and processes in all aspects and stages of transportation investments for all levels of government. Through the FHWA Division Offices and other appropriate USDOT field offices, the safety units will encourage safety integration and will work to lead implementation of strategies to ensure the FHWA: 1) supports States, metropolitan planning organizations (MPO), local and Tribal transportation agencies, and others in their comprehensive safety planning efforts; and 2) applies the outcomes appropriately to identify, address, and evaluate safety needs and improvements. 3.3 Develop and promote roadway safety improvements. In support of the USDOT's APG for safety, the three safety units have a responsibility to develop and promote safety improvements. The safety units will lead FHWA efforts to equip its partners and stakeholders with skills and resources to understand and implement safety improvements through program oversight, research, development, deployment, evaluation, technical assistance, outreach, and training. The safety units will coordinate with other USDOT modes and external partners and stakeholders to support this goal. 3.4 Establish and implement the safety element of the Transportation Performance Management program. Transportation Performance Management is a strategic approach that uses system information to make investment and policy decisions to achieve national performance goals. FHWA is taking steps to increase its capacity and capability to provide guidance and oversight for a national Transportation Performance Management program that would call for highway agencies and MPOs to integrate performance management into their decisionmaking processes and to report on the condition of the Nation's infrastructure, its operating performance, environmental impacts, and safety. The safety units will establish, implement, and integrate the safety element of the Transportation Performance Management program to help States and other stakeholders focus decisionmaking on achieving the established goals. 4.1 Champion FHWA safety policies and programs to advance safety improvements. The three safety units advocate for the advancement of data-driven safety decisionmaking for all public roads. Specifically, the safety units are responsible for stewardship of the HSIP. The safety units foster change by sharing information, training, and assistance; providing formal and informal technical guidance and policies to FHWA's partners and the public on proven, efficient, cost effective programs and activities; and continuously communicating the necessity to reduce fatalities and serious injuries on all public roads. To support this goal, the safety units will not only promote FHWA safety policies and programs, but will also publicize the value of the safety units' activities and the entire Safety Discipline's efforts to save lives on the Nation's roadways. The safety units will encourage partners and stakeholders to make the best use of the programs and services available to them to optimize their safety investments and to maximize their safety contributions to realize the vision. The safety units will also inform Congress; State DOTs; other Federal, State, and local government agencies; Tribes; academia; and the public about how FHWA safety resources are invested and the safety improvements achieved from FHWA efforts. 4.2 Promote an emphasis on safety performance in all aspects of roadway investment and decisionmaking. To achieve the SSP's vision, it is essential that safety performance be considered and emphasized in all aspects and stages of roadway investment and decisionmaking. This consideration and emphasis should apply to roads in the Federal-aid highway system and other streets and highways in the United States. Furthermore, consideration of safety performance should be as objective, quantitative, and scientifically rigorous as available knowledge and tools permit. The safety units will work with other programs within FHWA and with highway agencies at the Federal, State, and local levels to promote this emphasis and to provide the guidance and tools needed to achieve this goal. 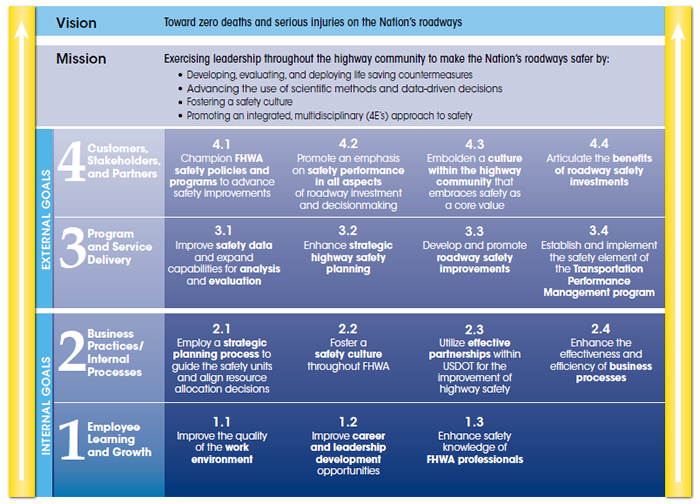 4.3 Embolden a culture within the highway community that embraces safety as a core value. Achieving pervasive consideration of, and emphasis on, improving highway safety requires not only guidance and tools but also heightened awareness, education and training, and a change in mindset and priorities. Through marketing, communications, and outreach, the safety units will encourage and embolden partners and stakeholders to embrace safety as a core value above, beyond, and apart from specific funding programs. The safety units will also coordinate with other USDOT modes to reach this goal. 4.4 Articulate the benefits of roadway safety investments. This goal seeks to overcome uncertainties that limit safety investment by articulating the benefits of those investments. The safety units will communicate with customers, stakeholders, and partners (including Congress) the overall benefits of collective and systematic infrastructure safety investments funded through HSIP, other FHWA safety programs, and other sources. In order to achieve the mission and realize the vision, unit and individual activities must support the SSP goals. Staff must take full ownership of the goals and focus on the direction identified in the SSP. Implementation should start with aligning existing processes with the SSP. Currently, most safety activities carried out by the three safety units are guided by annual Unit Performance Plans and multi-year roadmaps. 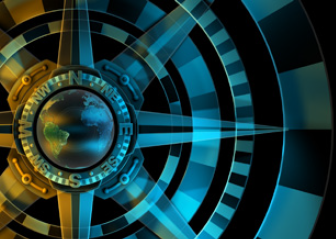 Each major program area has a roadmap, which provides both strategic and tactical directions. The roadmaps are updated annually, and their projects are implemented based on funding availability. Through the roadmaps, the safety units will identify, align, and prioritize strategies consistent with the goals identified in the SSP. Future year Unit Performance Plans and individual performance plans will also reflect roadmap strategies and the overall direction of the SSP. The three safety units will also work to incorporate the SSP strategic direction in the Agency's annual SIP. Revise the SSP every 3 to 5 years. The three safety units are committed to a systematic process to review individual programs and identify recommended changes. These findings and recommendations will be used to refine and improve not only specific safety programs but also the overall SSP. As the safety units work towards a safer future, they will embrace the new opportunities to implement this joint Safety Strategic Plan. 4E's: Engineering, education, enforcement, and emergency medical services. Agency Priority Goal (APG): A measureable commitment that represents high priorities for a department/agency, has high relevance to the public, or reflects the achievement of key missions. APGs target areas where agency leaders want to achieve near-term performance acceleration through focused senior leadership attention. The USDOT's APGs include one that states "Improve public health and safety by reducing transportation-related fatalities and injuries." This goal is referred to throughout the document. See http://goals.performance.gov/goals_2013 for more information. Countermeasure: A roadway-based strategy intended to reduce the crash frequency or severity, or both at a site. FHWA Strategic Plan: Provides long-term direction and focus for the Agency Leadership Team (the FHWA Administrator, Deputy Administrator, Executive Director, Directors of Field Services, Director of Technical Services, Associate Administrators, and other senior managers) with key elements consisting of a strategic goal, strategic objective, and national strategy. Goal: A statement of anticipated achievement from a policy, program, or administrative perspective in carrying out the mission over a period of time. Individual Performance Plan: A plan identifying job elements with performance standards that an employee undertakes throughout the year to align with, and support, the achievement of the national performance objectives, measures, and initiatives in the SIP, the Unit Performance Plan, the SSP, and other higher level strategic plans. Mission: The overall purpose (reason for existence) of the FHWA's three safety units: the Office of Safety (HSA), the Office of Safety Research and Development (HRDS), and the Resource Center Safety and Design Technical Services Team (TST). Performance Year: A 12-month period for which the USDOT plans its performance. It starts on June 1st and ends on May 31st of the following calendar year. Perspectives: Four interconnected key factors that make up the framework of the Safety Strategic Plan, as represented in the Strategy Map. There are fifteen goals grouped under these perspectives. Roadmap: Multi-year plan of action for a major program that includes a narrative summary, funding estimates, and strategic and tactical data. These plans are internal within the three safety units. Safety Culture: The shared values, actions, and behaviors that demonstrate a strong commitment to safety over competing goals and demands. The key indicator of a robust safety culture is that safety is the priority. Leaders' attitudes, organizational policies and decision making, and employees' behaviors should consistently demonstrate that safety is prioritized above all other considerations. Safety Discipline: A group of professionals comprised primarily of staff from the three safety units and safety specialists in the FHWA Federal-aid and Federal Lands Highway Division Offices. Safety Discipline Support System (SDSS): A knowledge management framework within FHWA that serves as a tool for personnel within the Safety Discipline. It is designed to provide complete support to its members in the areas of learning, technical expertise, networking, and career development. 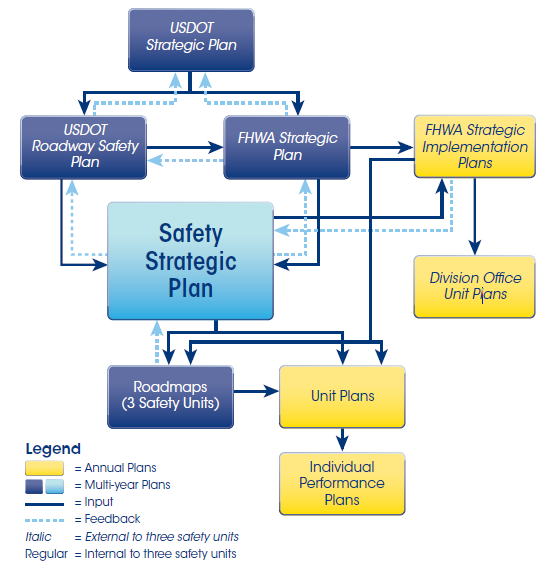 (FHWA) Safety Strategic Plan (SSP): A multi-year plan that provides strategic direction for three safety units: the Office of Safety (HSA), the Office of Safety Research and Development (HRDS), and the Resource Center Safety and Design Technical Services Team (TST). (FHWA) Strategic Implementation Plan (SIP): An annual document that includes national performance objectives, measures, and initiatives for the coming performance year. These are largely based on the FHWA Strategic Plan, but may also reflect near-term priorities and recent changes in priorities. Strategic Planning: A disciplined effort to produce fundamental decisions and actions that shape and guide what an organization is, what it does, and why it does it. Strategy Map: A visual depiction of an organization's strategy. The map shows how each goal supports the vision and mission and how all goals are balanced and linked. Transportation Performance Management: A strategic approach that uses highway system information to develop investment strategies and policies to achieve national performance goals. Unit Plan/Unit Performance Plan: Most FHWA offices develop an annual Unit Plan (sometimes referred to as Unit Performance Plan) that drives the implementation of the SIP nationwide. This plan identifies unit-level performance objectives, measures, and activities that an office will undertake throughout the year to align with, and support, the achievement of the national performance objectives, measures, and initiatives in the SIP. U.S. Department of Transportation Roadway Safety Plan: A single, integrated plan for all roadway safety issues focused on the goal of significantly reducing fatalities. U.S. Department of Transportation Strategic Plan: Reflects the policy, priorities, and direction announced by the Secretary of Transportation and encompasses the work of all the USDOT modal administrations. Vehicle Miles Traveled (VMT): The number of miles traveled nationally by vehicles. 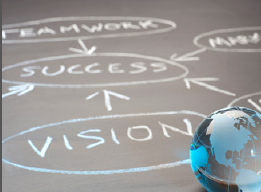 Vision: A picture of the future an organization hopes to attain. A vision can articulate a short-term (3-5 year) future or an enduring picture.